This post is a continuation of "The top and bottom 5 places to rent in the US". Explore the data that was used to create the list below. 1. 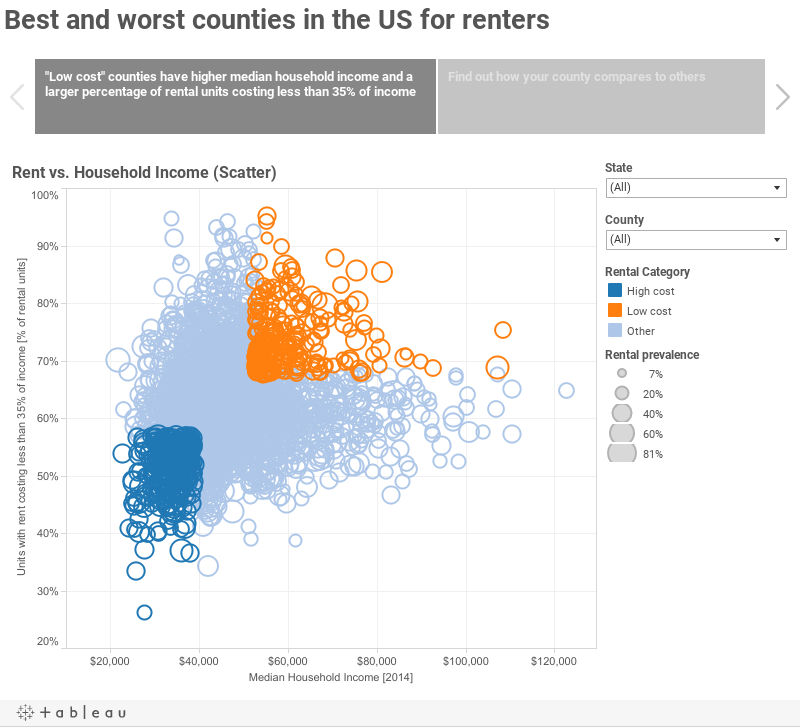 Each county was first analyzed against two affordability metrics – its median household income* and the percent of rental housing units whose rent was less than 35% of renters’ income*. Counties that scored in the top quartiles of both metrics (i.e., their median household income fell within the top 25% and their pool of rental units that cost less than 35% of income was within the top 25%) were categorized as “Low cost.” Counties that scored in the bottom quartiles of both metrics were categorized as “High costs.” All other counties were categorized as “Other” for the sake of simplicity. i. Total number of years not lived by people who die before reaching 75 years old. It is per 100,000 population (age-adjusted). ii. This was given a weight of 50% in calculating the Quality of Life score for each county. i. Food environment environment: Index of factors that contribute to a healthy food environment, 0 (worst) to 10 (best). Factors include population’s access to healthy foods and the percentage of the population who did not have access to a reliable source of food during the past year. vi. Each metric was given a weight of 5% in calculating the Quality of Life score for each county. i. Percent unemployed: Percentage of population ages 16 and older unemployed but seeking work. ii. Violent crime - Violent Crime Rate: Number of reported violent crime offenses per 100,000 population. iii. Air pollution: Average daily density of fine particulate matter in micrograms per cubic meter (PM2.5). iv. 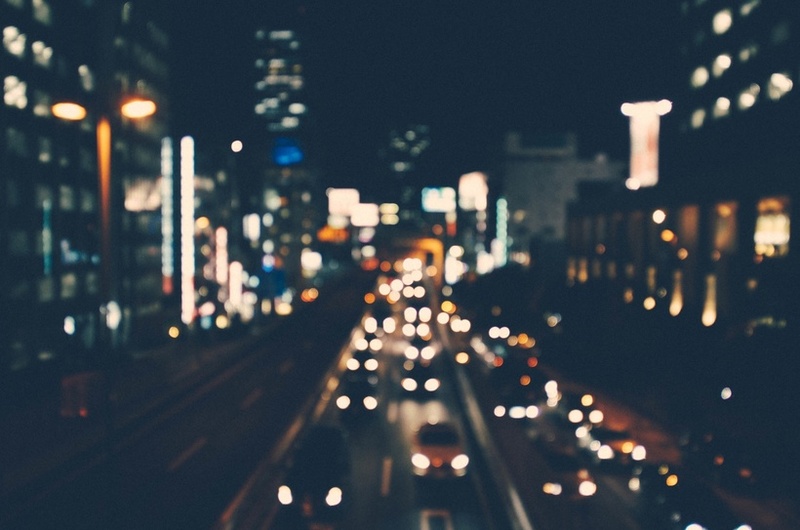 Percent Long Commute - Drives Alone: Among workers who commute in their car alone, the percentage that commute more than 30 minutes. v. Percent unemployment was given a weight of 10% and all other metrics a weight of 5% in calculating the Quality of Life score for each county. 3. Counties were then filtered by population, excluding those that were less than 100,000. 4. Next, counties that were categorized as “Low cost” from step 1 were ranked based on their Quality of Life score to determine the top 5 counties. Ties were broken by the percent of rental housing units whose rent was less than 35% of renters’ income (counties with a higher value won the tie). 5. Finally, counties that were categorized as “High cost” from step 1 were ranked based on their Quality of Life score to determine the bottom 5 counties. Ties were broken by the percent of rental housing units whose rent was less than 35% of renters’ income (counties with a lower value won the tie).